Our wedding wishing well is a handmade from solid pine and is an elegant solution for all your cards and gifts of monetary value as well as offering something a little unique on your wedding gift table. Your guests can pop their card or gift through the slot in the base of the well and at the end of the night you can remove the top to take everything out. Price of hire includes the well being decorated with ribbons, Ivy and a personalised plaque to match your wedding colours. ​is great for your card receiving. Each post box comes complete with personalized plaque detailing your names, date and event. 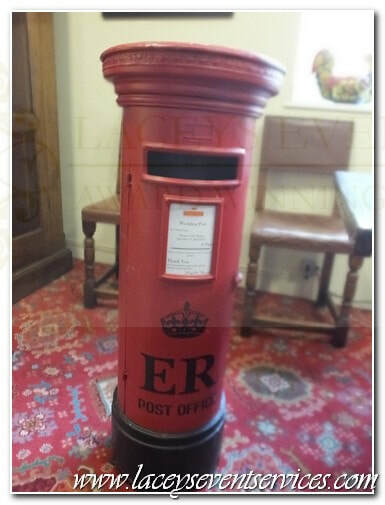 Our Vintage Royal Mail Post Box. This post box is a sturdy and secure deposit station for all of your cards and gifts of monetary value. Your guest simply 'post' their cards and gifts through and they remain locked in until you take them out. 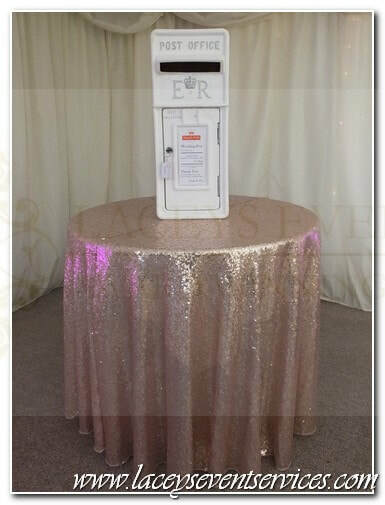 The Royal Mail Style Wedding post box makes a wonderful feature at any wedding and most certainly will be a talking point for your guests to remember! Our Beautiful hand crafted chest style post boxes are available to purchase and keep after your event! They come personalised with your names, date, venue and any message that you may like! All completley crafted to your chosen colours and theme. Our Beautiful hand crafted post boxes are available to purchase and keep after your event! They come personalised with your names, date, venue and any message that you may like! All completley crafted to your chosen colours and theme.